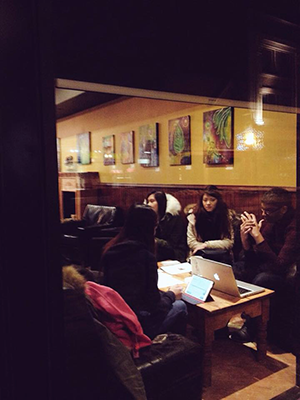 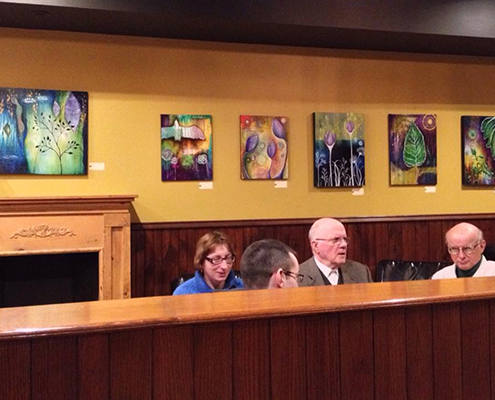 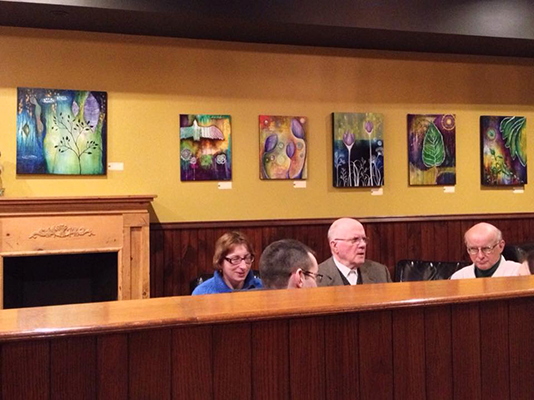 Brianna currently has her work on display at the beautiful Nata’s cafe in downtown Peterborough. 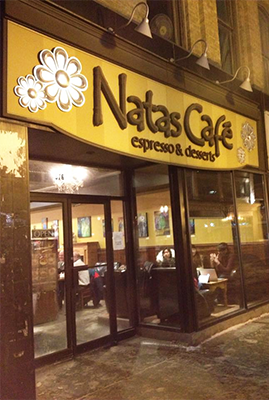 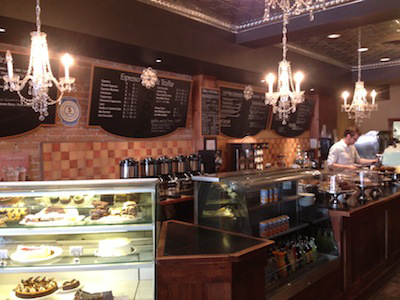 Come on in from the cold to warm up with a beverage and tasty treat. 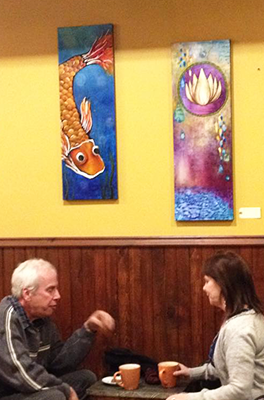 You will feel right at home while taking in the artwork.